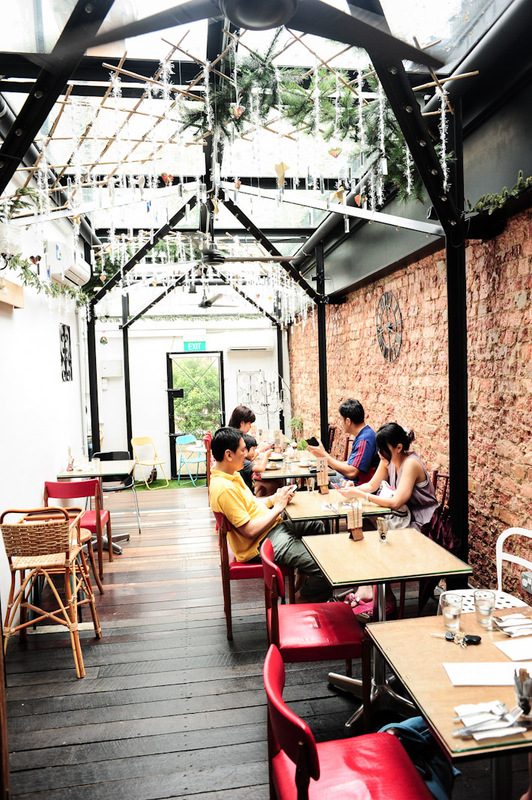 Wimbly Lu Chocolate Cafe is a dessert place located in the residential area at Jalan Riang. Part of Wimbly Lu’s charm is that from the moment you walk in, it strikes you as a quaint, whimsical kind of place. 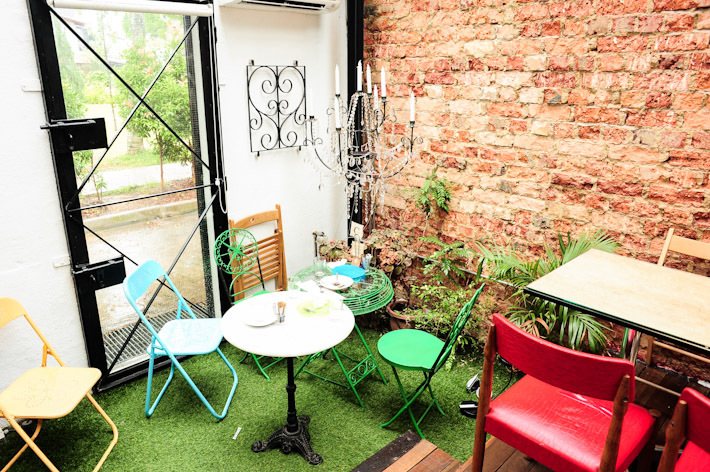 It is ideal for whiling away a few hours with friends. From the menu, you can tell that Wimbly Lu’s forte lies in desserts. While the savoury menu ($3.50 – $13) only includes several options such as Tuna Cheese Melt, Lasagna and Baked Rice with Chicken and Mushroom, the dessert department ($3 – $8.50) has many more choices like Brownie, Eclair, Orange Flourless Cake, Hazelnut Butterscotch Bar, Molten Lava Cake, Root Beer Cake, Waffles and Tiramisu. The most popular choices are the Waffles and Root Beer Cake with vanilla ice cream. Both are absolute must-tries. 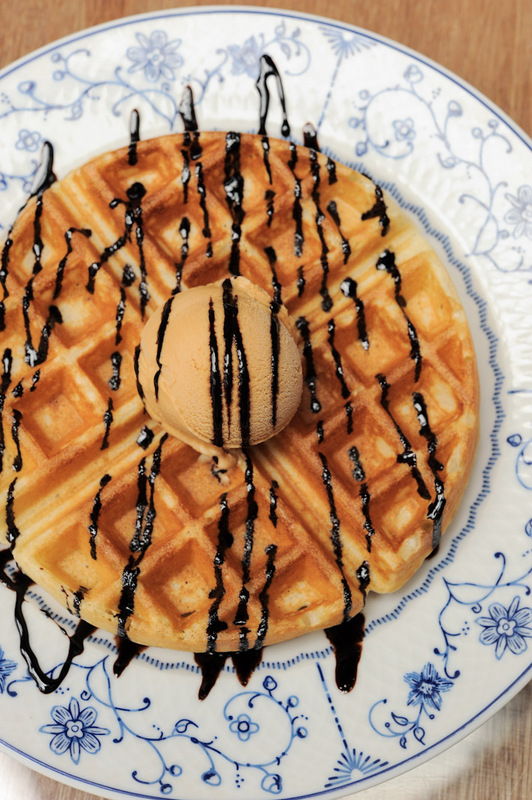 Wimbly Lu has the best Waffles ($8.50 with a scoop of ice cream) in town. I have had it on several occasions and I am impressed by its consistency – it is always crisp on the outside and light and fluffy on the inside. My only gripe is the tiny portion of the ice-cream. It would be great if they gave a bigger scoop of the delicious homemade salted caramel ice cream. The Root Beer Cake ($6) with vanilla ice cream is also a winner. Combining root beer and cake is a brilliant idea and it makes me wonder why nobody had thought of doing it earlier. It has a distinctive root beer flavour and when paired with a scoop of vanilla ice cream, there is only one word to describe it – heavenly. 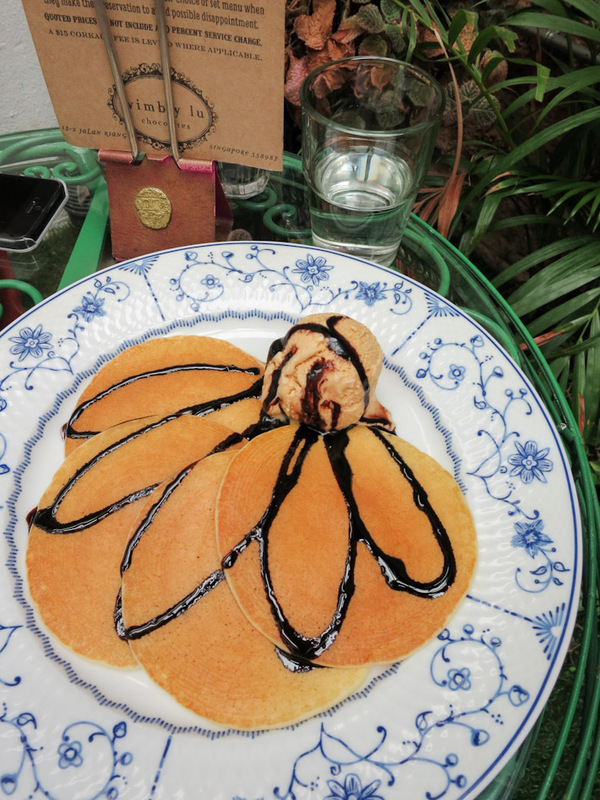 My partner thought that their pancakes ($7.50 with a scoop of ice cream) were run-of-the-mill, but I felt that it was pretty decent. That said, I’d probably not order it again as the waffle was so much better. Chocolate lovers should not leave without trying Wimbly Lu’s Molten Lava Cake ($6) – another exceptional dessert. At just $6, it is one of the cheaper chocolate lava cake around, and offers great value. There were a couple of misses too, though, such as a pedestrian Sticky Date Pudding and a very disappointing Bread and Butter Pudding which we left untouched after a spoonful or two. We could not agree on the Chocolate Creme Brulee ($5). For me, it was slightly too dense for a creme brulee while my partner has been craving for it since we had it a while back because she likes how the slight bitterness of the chocolate blended so well with the otherwise predictable sweet dessert. Potent on first look, and in fact a bit threatening, but it was quite a false alarm. The Blackout Cake ($6) disappointed us quite a bit with its moist (or lack of) body, and our impression of a chocolate cake really should be richer. Still, if you do not mind a simple slice of sweetness, this should suffice. Wimbly Lu has become our favourite to-go place for desserts, we go there all the time and so far, we have tried almost all the items on the menu. 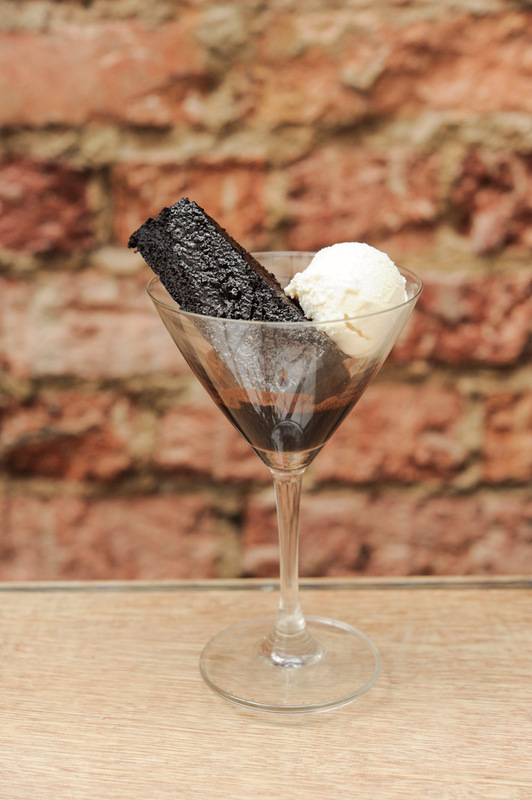 We love the cosy and intimate atmosphere, and the fact that all the desserts are so reasonably-priced. While some of the desserts did not impress, the waffle and root beer cake are reasons enough for us to return time and again. Wow waffles. I am drooling for one now! A friend of mine created the root beer cake. She’s exceptionally talented and has her own little venture now – http://www.thespatulaandthepen.com. Do check her out. It would be good if you could change the opening hour on tues-fri. The cafe does not open at 12pm. It opens at 1. Would appreciate if you could amend that as your blog is popular and a wrong opening hour is very misleading. I went there with a few friends and we ended up waiting outside the cafe for 1 hour. their lava cake is a failure. not worth every cent!